A leisurely vacation with an intimate lover on a beautiful beach is the most desirable thing. On the beach in addition to the blue sky, white clouds, waves, sand, the unique shape of the beach sculpture is also a fascinating scenery. 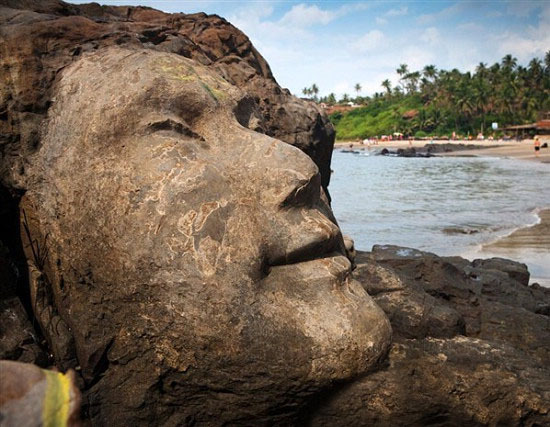 Let us enjoy the following ten incredible beautiful beach sculptures. 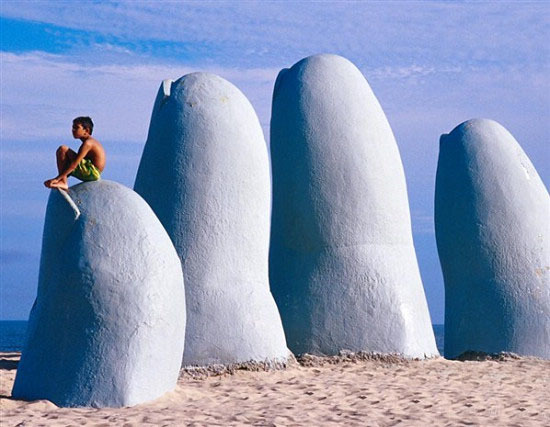 Built in 1982 by Chilean artists, each finger is reinforced with steel bars, metal mesh and corrosion-resistant solvents due to the strong winds and sand in Punta del Este. 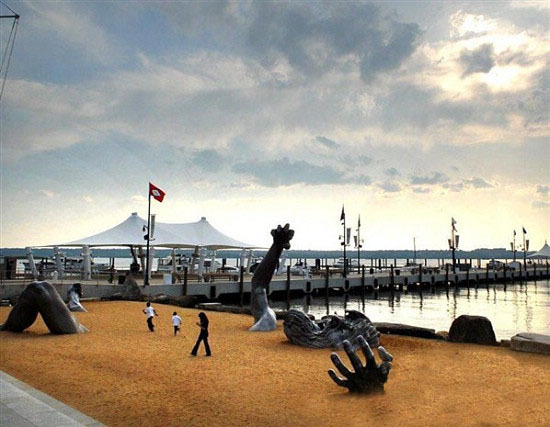 The sculpture is said to have been inspired by strong local winds and sand, which seem to be a constant warning to swimmers jumping into the rough waters. 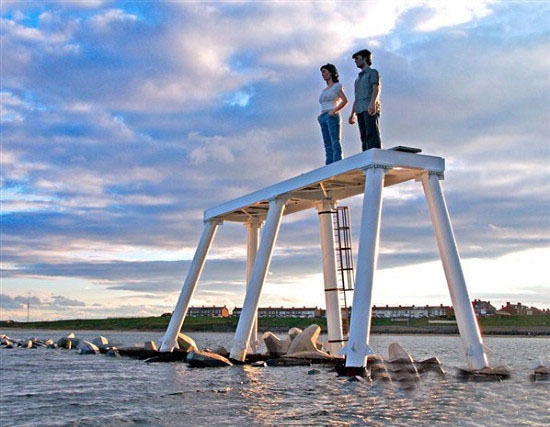 Located 180 metres off the coast of Newbigin, Northumberland, the sculpture features a figure five metres tall, made of bronze, firmly anchored to a pedestal. At high tide, the pedestal is inundated with seawater. So, from a distance, the sculpture looks like two real people wading into the sea. So it is hard to imagine how many terrified calls the marine police have received. 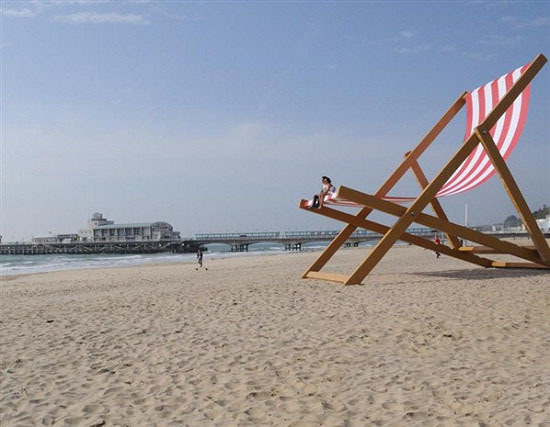 It was fitting to put such a "giant beach chair" on "Britain's best beach." The 8.5 metre sculpture was about the weight of an adult elephant. It took three weeks for the builders to put it together. The sculpture had a standard "British look" and everyone who saw it would laugh heartily. 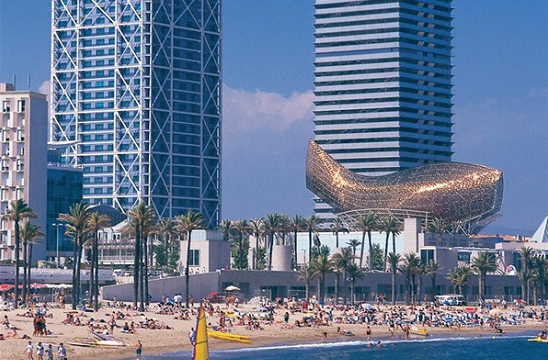 The "Salute to Barcelona" sculpture looks like a crumbling tower, but the four "iron boxes" that make up the tower actually represent both an abandoned lighthouse and the Spanish beach restaurants that sold well before 1990. 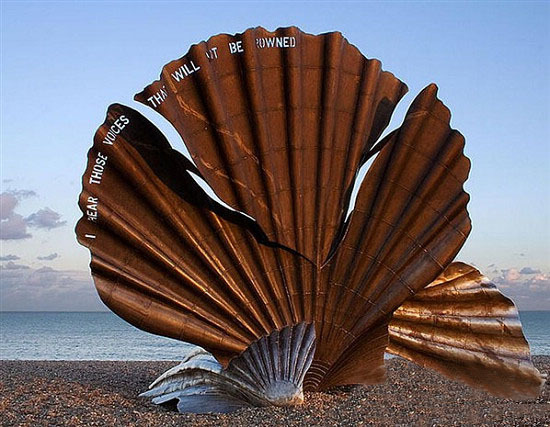 The 4m sculpture was built in tribute to one of Britain's most important 20th century composers, Benjamin Britton, who had spent most of his life in Alderborg, Suffolk. Those who have dreamed of being buried in the dunes will surely take a detour to see the sculpture, which depicts a 21-metre giant struggling to break free of its shackles, creating five parts of the giant's face, hands and legs, all made of aluminium, with the most terrifying face screaming with its mouth half open. The smallest Indian state, Goa, is the birthplace of the Kongkani people of India and is frequently quoted in ancient Indian texts. Vagato Beach's Shiva sculptures add a mystique to the state of Goa. The gigantic head of the Shiva and the head of the Cobra are carved into the rocks along the coast. 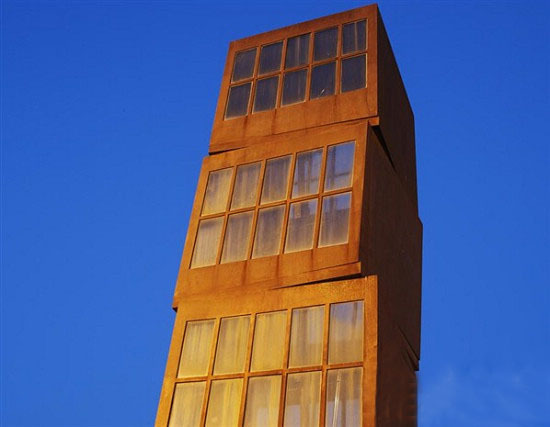 The goldfish sculpture, made of steel, stone and glass, was built specifically for the 1992 Barcelona Olympics in Barcelona's Olympic Port. 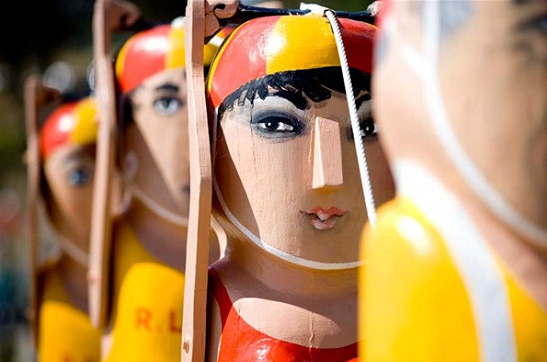 Although the guardrails do not necessarily act as "lifeguards," at least they bring joy to the beaches of the Jilongdong Beach Reserve, where the statues are made of wood rescued from the pier and represent 104 important figures in Geelong's history, including sailors, fishermen or band members. 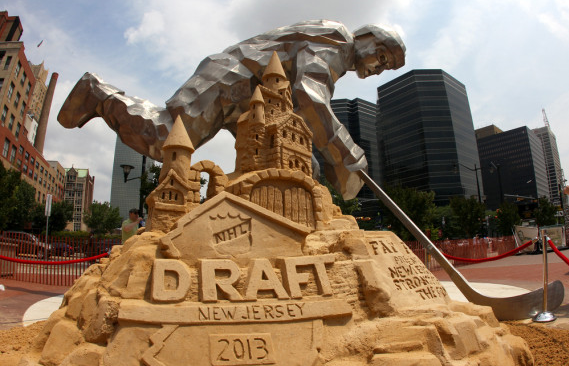 Located near the Prudential Center in Newark, New Jersey, the sculpture commemorates the 2013 National Hockey League draft and is believed to be loved by hockey fans. How will artificial intelligence affect our lives?